The evolving healthcare sector has raised its demand for a multitude of equipment. One such equipment is the medical cart, which is required for moving around medical supplies in a quick manner in a room or a given premise. Growing number of surgical procedures and soaring number of hospital admissions have raised the demand for medical carts in recent years. Analysts state that increasing focus on ensuring safety of patients, improving efficiency of nursing, and need to maintain organization in hospital premises have significantly augmented the demand for medical carts. Availability of customizable medical carts to suit the needs of medical units has also improved sales of the same. Today, medical carts are being customized for carrying, dispensing, transporting, and storing medical drugs and instruments. Thus depending on the nature of the procedure or where the cart is used, vendors are offer customized solutions. The report points out that emergence of medical services such as telehealth and telemedicine are expected to have a major impact on the global market. The demand for medical carts is projected to rise as they allow enhanced nursing efficiency and thus ensure better care for patients. The growing number of point-of-care diagnostics are also projected to supplement the sale of medical carts. The various types of medical carts available in the global market are for emergency, anesthesia, procedure and treatment and many others. Out of these, the demand for emergency carts has been substantially high due to growing number of emergency care units across the globe. Furthermore, emphasis on keeping the emergency room organized and ready to deal with challenging situations is expected to spike the demand for medical carts as well. The demand for these carts will also be improved by the lighter weight designs, enhanced mobility, and improved ergonomics. With an extensive need for quality medical treatments occurring all over the globe, the entire onus lies on different healthcare organizations and centers to provide desired services. This is one of the most crucial factors behind a phenomenal growth experienced by the global medical carts market. A rising need for easily available medical supplies along with their fast accessibility has also caused substantial development in the global medical carts market from a worldwide perspective. 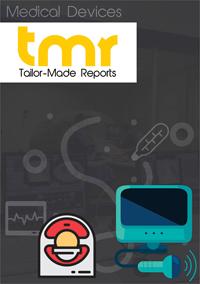 The global medical carts market is expected to fetch a revenue of US$1302 mn by 2023, which is marked as a splendid growth on the basis of a notably less revenue valuation of US$571 mn clocked in 2016. This growth is projected to occur at a fantastic CAGR of 12.4% during the forecast period from 2017 to 2023. China showcases maximum potential for the global medical carts market, mainly due to a rise in healthcare expenditure, hospital reforms, and rapid economic growth. Growing geriatric population in China has resulted in an increase in hospital and admissions coupled with high demand for healthcare facilities by those affected with any disease or any maladies. Strong government initiatives put forth by the governing organizations in this country such as encouraging set up of hospitals, facilitating reimbursements, and attractive medical insurance, has also contributed towards the global medical carts market experiencing extensive growth. An effective family planning commission established by the government has also proven to be beneficial to the market’s rise. Region-wise, this market is spread across North America, South America, the Middle East and Africa, Europe, and Asia Pacific. A strong healthcare-based scenario along with a robust medical infrastructure in North America makes it lead the race by attracting a handsome revenue in recent times. However, rising cases of deadly diseases, vehicular accidents, and other health based issues in leading countries from Asia Pacific such as India and China is expected to make Asia Pacific depict a highly fast growth in the global medical carts market, during forthcoming years. Apart from North America and Asia Pacific, state-of-the-art medical facilities provided in Europe has also made this region depict a fantastic development of the global medical carts market. Life-Medic HealthCare Supplies Pte Ltd., Midmark Corporation, Capsa Solutions LLC., Harloff Company (Harloff Manufacturing Co.), Medline Industries Inc., InterMetro Industries Corporation (A Part Of Ali Group), ITD GmbH, Omnicell Inc., The Bergmann Group, Armstrong Medical, Tianjin Xuhua Medical Equipment Factory, Joson-Care Enterprise Co., Ltd., Hua Shuo Plastic Co., Ltd., Medical Master, Jegna, Merino International, Zhangjiagang Bestran Technology Co. Ltd., Tonglu Rex Medical Instrument Co., Ltd, Herman Miller, Inc., and BiHealthcare are some of the chief companies operating in the global medical carts market.